First of all, I really hope that's the right section to drop that question in. 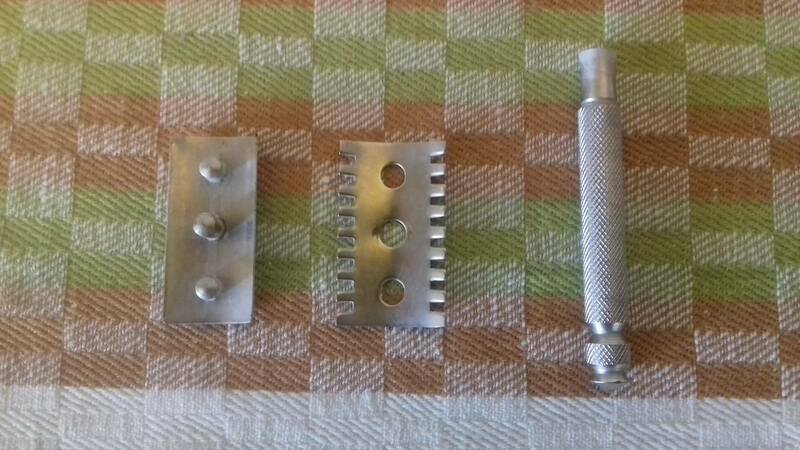 So, could someone possibly identify that razor and respectively its release year/date? 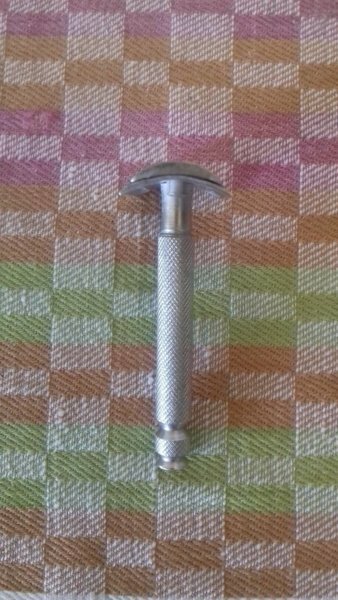 The handle is about 8 cm long; in general, I could probably claim that this razor is a relatively heavy one. Welcome to TSN. When you have a chance, please introduce yourself in the Introductions section, so our members can give you a proper welcome. Our members have a lot of knowledge, so you may get some useful responses to your inquiry. Any markings on the underside of the cap or baseplate? The basic geometry reminds me of the Gillette Old Type, but markings would help a lot. (03-22-2019, 05:07 AM)WegianWarrior Wrote: Any markings on the underside of the cap or baseplate? Thanks for the quick response; concerning the aforementioned markings - no, there's nothing at all. ;/ I'm attaching that additional picture which is focused at the other details. (03-22-2019, 03:34 AM)TheLegalRazor Wrote: Welcome to TSN. When you have a chance, please introduce yourself in the Introductions section, so our members can give you a proper welcome. Thanks for the advice, I'm going to do that as soon as possible. Hi, I was intrigued by this ID search for a razor. i am not sure if Galvano makes the razor because the listing mentions that the razor is galvano bronze. is galvano bronze a thing? As far as the googles informs me, "galvano bronze" is method of electro-forming metal developed by P. Mori and Sons of New York City in the late 1880s. The process was comonly used to manufacture inexpensive bust, statues and bookends by depositing metal (often bronze) onto a plaster form painted with conductive graphite. It would be a rather labour intensive and needlessly complicated way to make a razor though. (03-25-2019, 01:29 PM)WegianWarrior Wrote: As far as the googles informs me, "galvano bronze" is method of electro-forming metal developed by P. Mori and Sons of New York City in the late 1880s. The process was comonly used to manufacture inexpensive bust, statues and bookends by depositing metal (often bronze) onto a plaster form painted with conductive graphite. 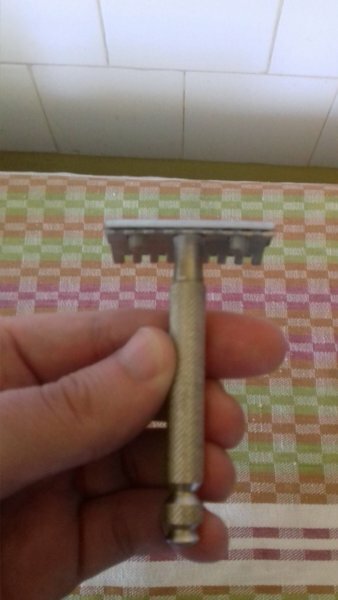 actually Ebay has many examples of razors made with galvano bronze. gillette also produced razors made with this material. all seem to have been manufactured from late 1950's to early 1960's. Which probably mean that the meaning of the term has drifted away from the original process by the post-war era. Thank you all for the responsiveness. 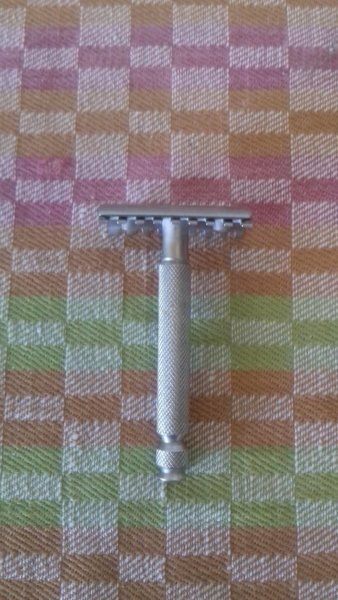 I've purchased the so called "Merkur 41C Open Comb" just a couple of days ago; what's your opinion of it in general? 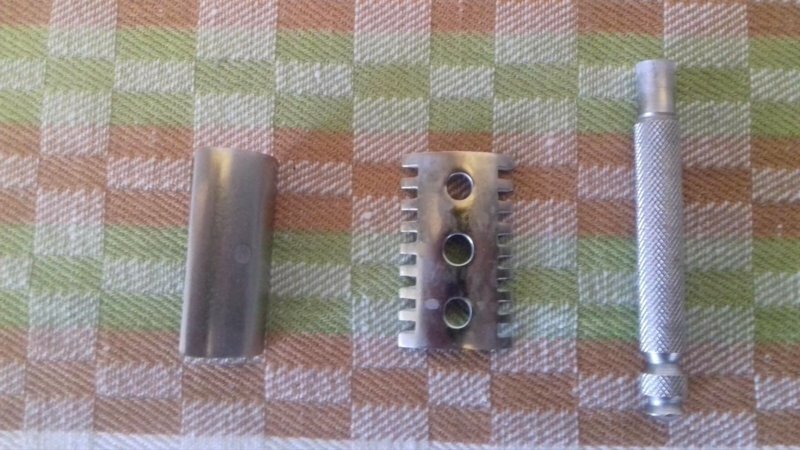 The Merkur open comb head is a good one; I have one of their open comb travel razors, and I had a long handled 25C until I PIFed it away earlier this year. A good performer all round, quite similiar to the original Gillettes. 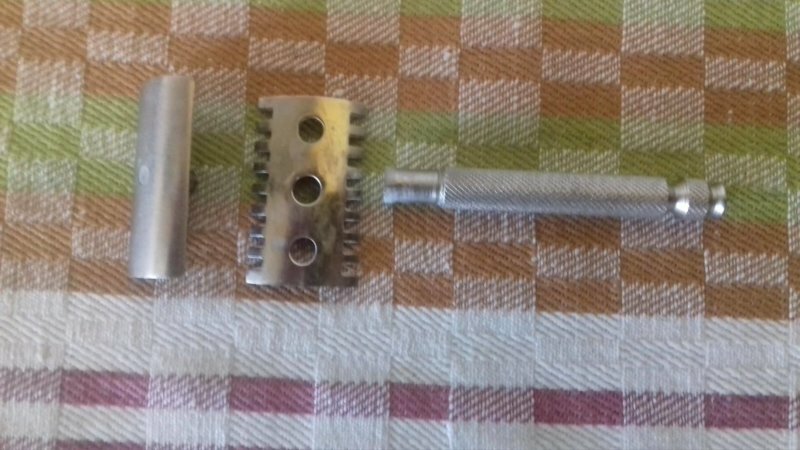 (03-29-2019, 01:43 AM)WegianWarrior Wrote: The Merkur open comb head is a good one; I have one of their open comb travel razors, and I had a long handled 25C until I PIFed it away earlier this year. A good performer all round, quite similiar to the original Gillettes.